Tuscany: every house buyers’ dream location? Ask someone to name an Italian region and Tuscany is sure to be top of the list. Quintessential images of Italy include the Duomo in Florence, the leaning tower of Pisa and a landscape of rolling hills, vineyards and that famous bendy road lined with cypress trees leading to a dream farm house on a hill. Tuscany is admired as a place of culture, art, and sophisticated rural life, attracting both tourists and house buyers. The British have been buying property here for many years and prices have soared since those early days, with “Chiantishire” having some of the most expensive farm houses in the world. But, don’t be dis-heartened, there are still some affordable areas left, particularly in the far north and south of the region. 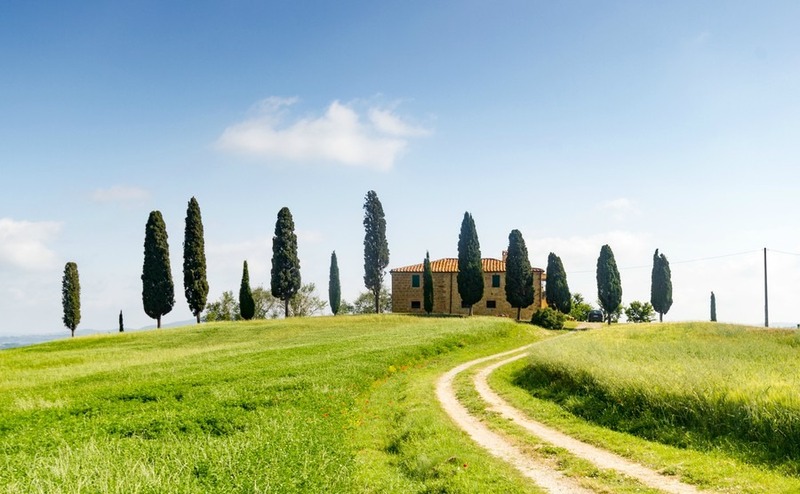 Tuscany’s continued popularity with foreign buyers and tourists has created a stable housing market and there are great opportunities for property owners to get good holiday rental returns. All the major airlines fly into Pisa airport Ryanair flies from East Midlands, Edinburgh, Glasgow Prestwick, Leeds Bradford, Liverpool and London Stansted, with some flights in October on special offer for less than £20. Easyjet flies from London Gatwick, London Luton, Bristol and Manchester. British Airways flies from London Gatwick, Edinburgh, Manchester, Bristol and Glasgow and also from London City Airport to Florence. The Duchess of Cambridge is one of Florence’s greatest fans, having taken a year off university working in the art galleries here. Just 15 minutes train ride from Pisa you can be at the coastal town of Livorna or in Torre del Lago on Lake Massaciuccoli. In 30 minutes you can be in Lucca. If you hire a car there are good road links between all the cities. Tuscany is located in central Italy and stretches from the Apennines to the Tyrrhenian Sea where the coastline alternates between long sandy beaches, rocky cliffs and steep headlands. Located between the provinces of Florence and Siena, the Chianti Valley has always been considered the heart of old Tuscany, well known around the world for its famous wines. Within the triangle of Siena, San Gimignano and the Chianti hills you find the most popular area for foreign buyers, with its rolling hills and vineyards still looking like the renaissance paintings that it once inspired. Property prices and renovation costs can be high in this area, but potential rental income is also high. Strict planning laws restrict new building and ensure that any restoration work maintains the region’s traditional style and character. Although this can be frustrating for adventurous renovators, it does mean that when you buy an already restored home it will have a good finish and that the beauty of Tuscany won’t be spoilt by ugly buildings. The provinces of Tuscany are: Florence (regional capital), Arezzo, Grosseto, Livorno, Lucca, Massa Carrara, Pisa, Pistoia, Prato and Siena. Florence is a real open-air museum, containing countless beautiful buildings including the Duomo, Giotto’s Bell Tower, The Baptistry of San Giovanni, Santa Maria Novella, Palazzo Vecchio, the Pitti Palace, the Uffizi Gallery and not forgetting the Ponte Vecchio bridge across the Arno river. 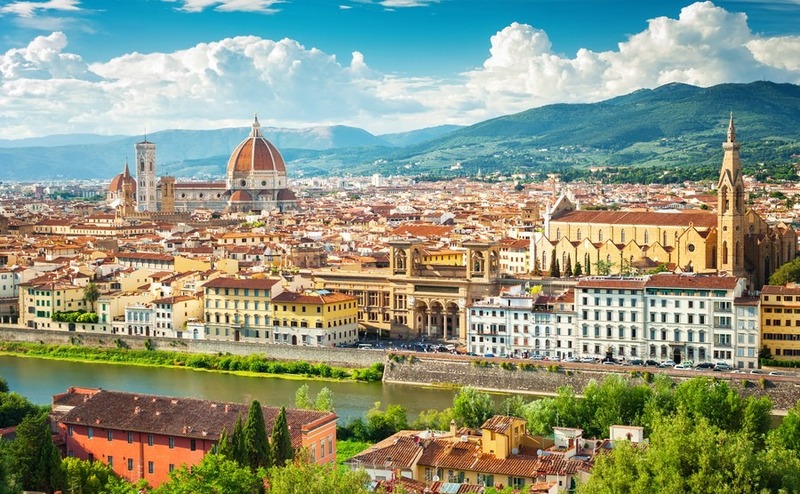 Recognized as the cradle of the Renaissance, Florence attracts crowds of Italian and foreign tourists to admire the churches, architecture, and museums that make it so unique. The Duchess of Cambridge is one of Florence’s greatest fans, having taken her university gap year working in the art galleries here. The Florentines are very aware of their architectural past, and have preserved original building techniques and use traditional building materials. They understand the importance of protecting and preserving the cultural heritage of the city particularly in the Historic centre, which is a UNESCO World heritage site. A two-bedroom apartment near Florence’s historic centre can cost from €340,000, but can generate good returns from holiday rentals. Pisa is only an hour on the coach from Florence. Its airport is the one most commonly used by British tourists coming to Tuscany. As the airport is so close to the town there are many houses within a few minutes’ walk that offer bed and breakfast to travellers wanting a good night’s sleep before an early flight. The town has a nice local feel to it, and of course the highlight is the leaning tower of Pisa, Duomo and Baptistery. You can still find well priced properties around Pisa and a two-bedroom stone house in the countryside can cost around €400,000. Siena is a magnificent city of art with characteristic alleyways, towers, artisan shops and beautiful buildings. The city is famous for its cuisine, art, museums, medieval cityscape and the Palio, a horse race held twice a year. The surrounding area has characteristic villages (borghi) such as San Quirico d’Orcia or San Gimignano, which have preserved their original appearance. A typical Tuscan farmhouse in the Siena province can cost little over €200,000. To know your own property budget, you need to speak to a currency specialist as early in your property search as possible. We recommend you contact Smart Currency Exchange, the most trusted name in money transfer and currency exchange, according to Trustpilot. Lucca is unique among Tuscan cities in that it has maintained its wide city walls and turned the top of them into a park circling the old town; a place to walk, cycle and relax. The town has a number of pretty piazzas, most notably the Piazza dell’Anfiteatro, site of an ancient Roman amphitheatre, but also Piazzale Verdi, Piazza Napoleone and Piazza San Michele. Lucca hosts the Lucca Summer Festival each year, which attracts top music artists. The area combines good holiday rental prospects with very reasonable property prices. 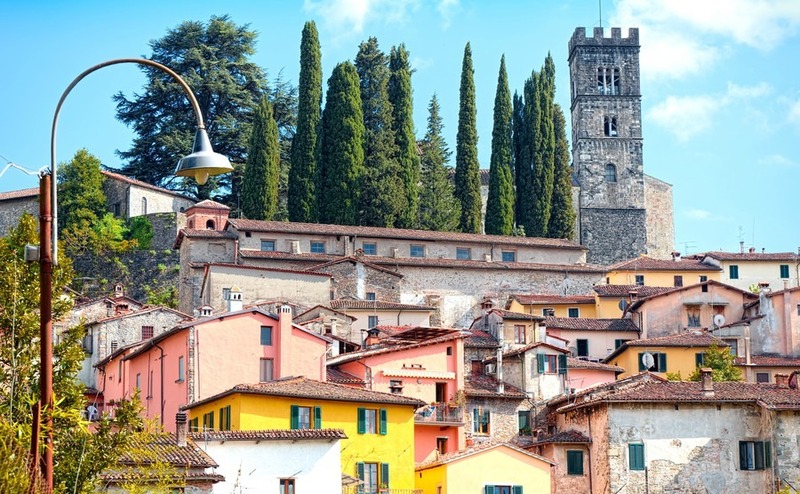 Buyers with more modest budgets seeking a home in or near one of Tuscany’s charming cities should also check out inexpensive Cortona in the east or Grosseto in the south. San Gimignano stands out among the small towns of the region, a Medieval town characterized by its towers and “tower homes” and a site recognized by UNESCO. But, in the far north of Tuscany, there are also highlands full of charming villages. Property prices are generally lower up here and areas such as Lunigiana and Garfagnana are gaining interest from British buyers. One of the prettiest villages in Lunigiana is Fosdinovo, famous for its beautiful 12th century Malaspina family castle. The northern hills are great for those who want to get away from it all, although you should be aware that winter weather can be harsher than on the lower ground. In Lucca province you can still find low-cost houses in the villages, such as Gallicano, Bagni di Lucca and Pescaglia. There are a number of village houses and country properties for under €150,000 on Rightmove. Between Lucca and the Garfagnana mountains you will find the beautiful hill town of Barga. In the summer Barga has a lively nightlife with Opera and Jazz Festivals. The main attractions are the Romanesque Duomo, the Renaissance buildings and the theatre. It is also considered the most Scottish town in Italy because of the scenery and the number of locals who emigrated to Scotland at the end of the 1800s, introducing the Scots to Gelato, and the Italians to fish and chips. It is estimated that today 60% of Barga’s population of 10,000 can claim to have Scottish relations and every year the town hosts its very own “Sagra del pesce e patate”(Festival of fish and chips). Property for sale in Barga. Most Tuscan villages have Sagra food festivals at some point in the year and they are a great way to meet the locals and try the traditional food of the region. If you are looking for a location where you can visit the seaside, some of the best prices can be found below Pisa in the province of Livorno and Grosseto. The Livorno coastline has been called the “Etruscan Coast” due to the abundance of traces left behind by this ancient civilization. 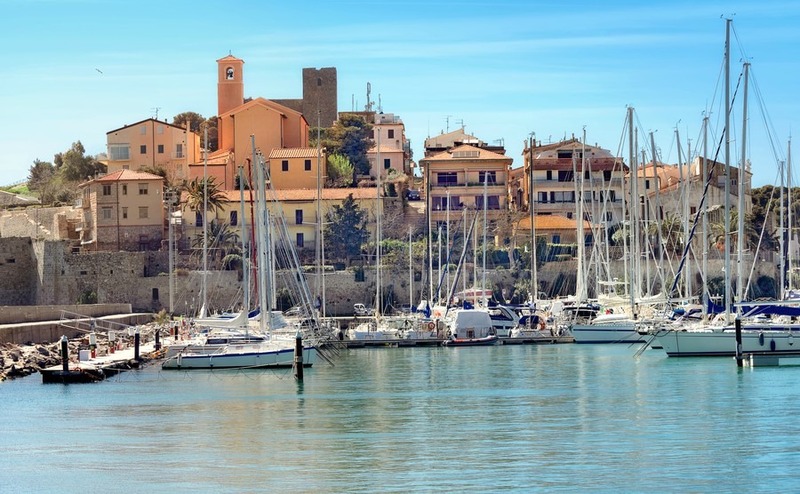 Long beaches, and cliffs lie in front of pine woodlands and well-known touristic spots, such as Castiglioncello, Rosignano Marittimo, Marina di Bibbona, Marina di Cecina, the Gulf of Baratti and Populonia, all rich in history and precious archaeological artefacts. Nature lovers can enjoy the many protected areas. The area also includes some islands of the Tuscan Archipelago, the best known of which is the popular Island of Elba. Tuscany’s enchanting far south is wild, spacious and dotted with hills and rocks. There are plenty of well-priced homes including village houses, country homes and even apartments within large country homes. A three-bedroom stone house in the countryside could cost you less than €260,000 in the province of Grosseto. 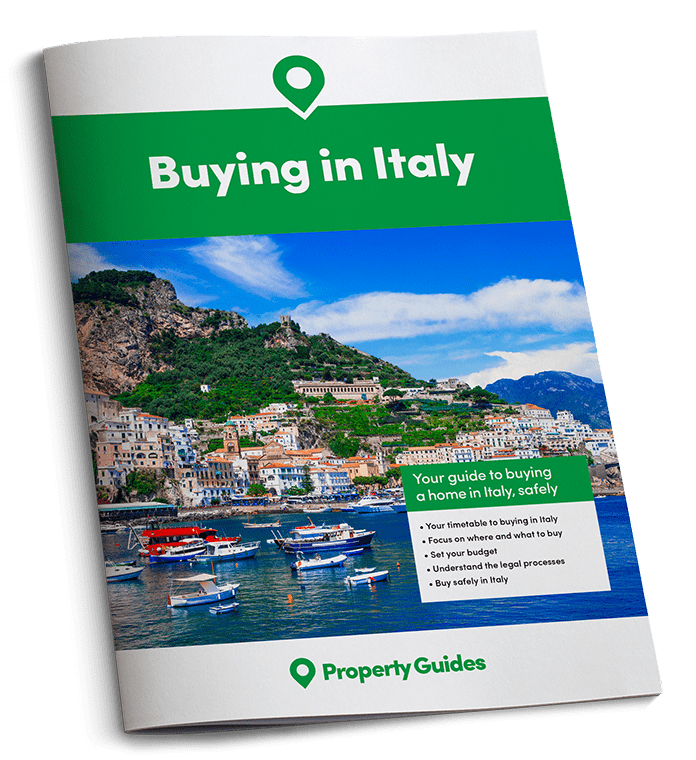 If you are ready to buy a home in the next few months, call the Property Guides Resource Centre on 020 7898 0549 or email italy@propertyguides.com. We can introduce you to a trusted lawyer, estate agent and currency specialist. If you can reach the London area in November, we also have news of a fabulous new property show – Your Overseas Home. Call or email us for more details.